South West Universities dominate alongside great results from Nottingham and Warwick. The very nature of surfing means we have to rely on the simultaneous arrival of some pretty fickle elements in order to engage in our chosen pursuit. And since we’re British, we also love to talk about the weather. So here goes. A successful surf is a bit like baking a cake. When it all comes together, it’s like afternoon tea at Mary Berry’s family home, plenty of the delicious sweet stuff for everyone and no one’s going to bed without being rammed full of the good stuff. But what if Mary gets to Waitrose without her shopping list? What if a slip of the wrist means too much flour and not enough sugar? God forbid Mrs. Berry forgot she used an egg in her bacon butty, that Victoria sponge is going to get ugly. Today was one of those egg days, we had the sea (that bit’s easy), the offshore wind and even a few hours of sun, but alas not the Great British Surf Off we all desired, Neptune forgot the waves, and we were out of luck. A first look at high tide Fistral Beach at 09:00 this morning confirmed it, a few ankle bashers was the best available for a few diehard foamy fans. 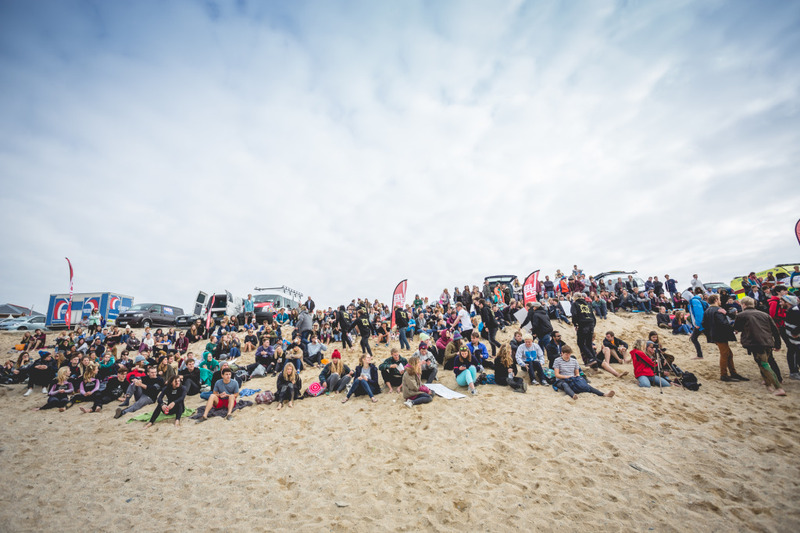 Contest Director Ester Spears put a two hour waiting period on the contest in anticipation of the lower tide uncovering a couple of contestable banks. 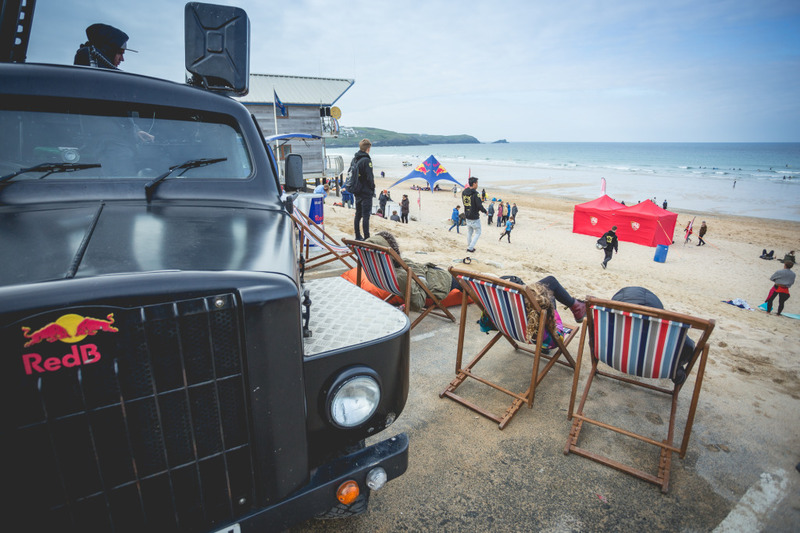 As the event officials eyes were glued firmly to the ocean, the BUCS community took to the beach in search of alternative entertainment. In a display of either impressive planning or amazing short term procurement, a midly intimidating slip and slide was constructed just south of the content site, with some predictably amusing results. The waiting period came and went, and by 13:00 is was pretty obvious to everyone that there was going to be no contestable surf today. The powers that be announced the championships was to be officially called off due to poor conditions, and that competitors existing Round One scores would be used to determine winners in each category. 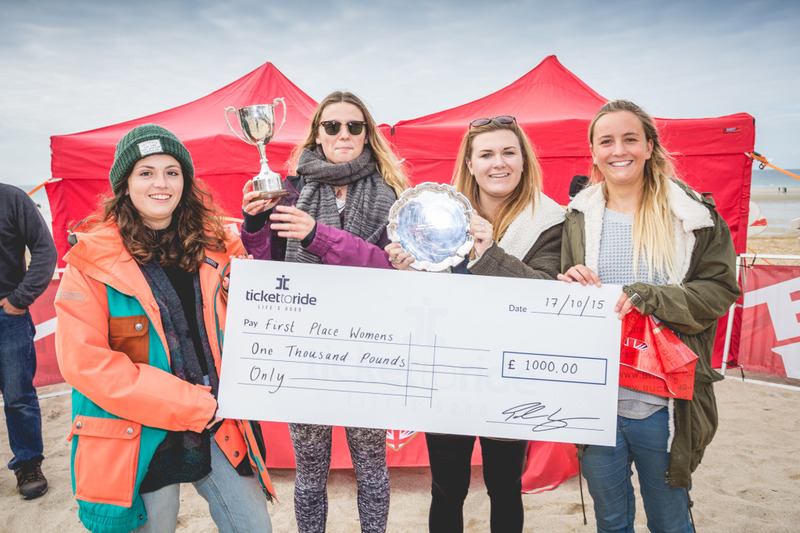 Falmouth and Exeter Student’s Union’s Gabi Rowe took home first place for the ladies, with Cardiff’s Ellen Harding and Exeter’s Mollie Erskine taking second and third place respectively. 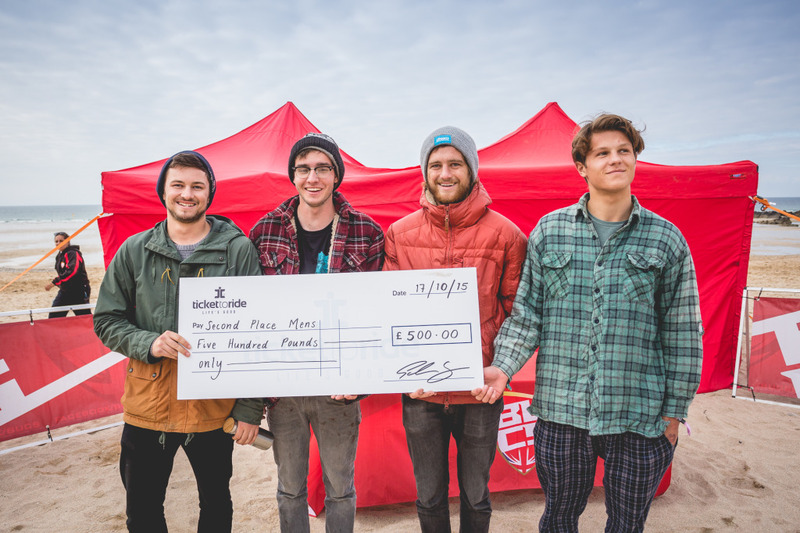 Falmouth and Exeter Student’s Union also took the top spot in the mens with Matt Chapman taking first over last year’s winner, Swansea’s Rhys Poulton with University of Nottingham’s James Kneen taking third. 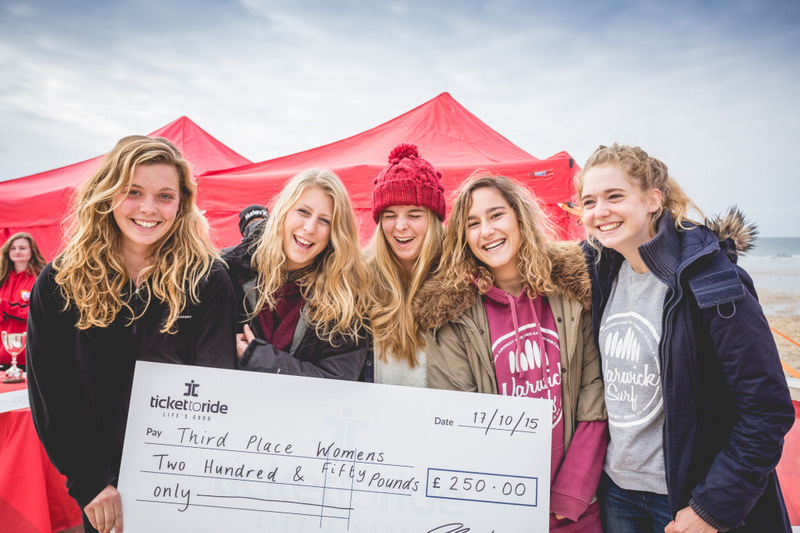 Falmouth and Exeter Student’s Union continued to dominate on the team podium, taking first place in the Overall Female Team with University of Exeter taking second and University of Warwick gracefully taking an unexpected third place. 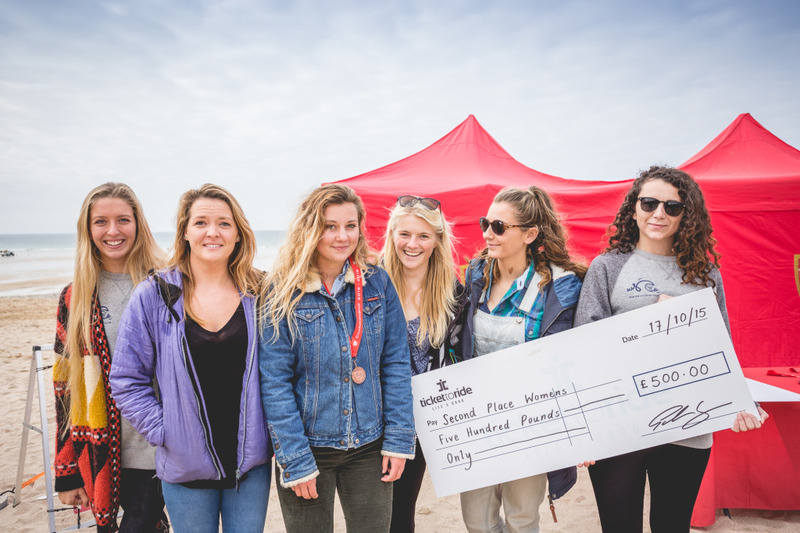 The south west ruled the men’s team results, with the always successful University of Plymouth on top, with Falmouth and Exeter Student’s Union taking second and Swansea University third. 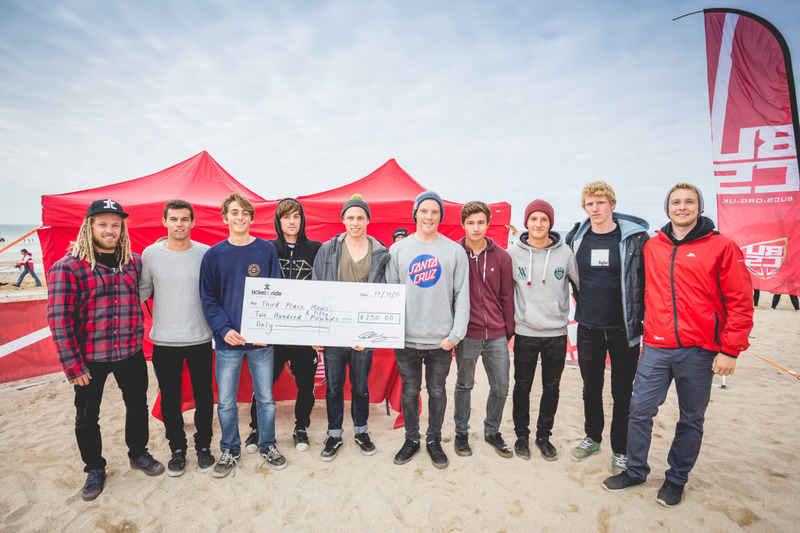 All in all, despite the average conditions, the 2015 BUCS Surf Championship saw some impressive surfing from all involved. If we can take a little pinch of 2014’s swell with a healthy dash of this years spirit then we’ll be on for a perfectly baked contest in 2016. See you all on the sand next time, you lucky lot. 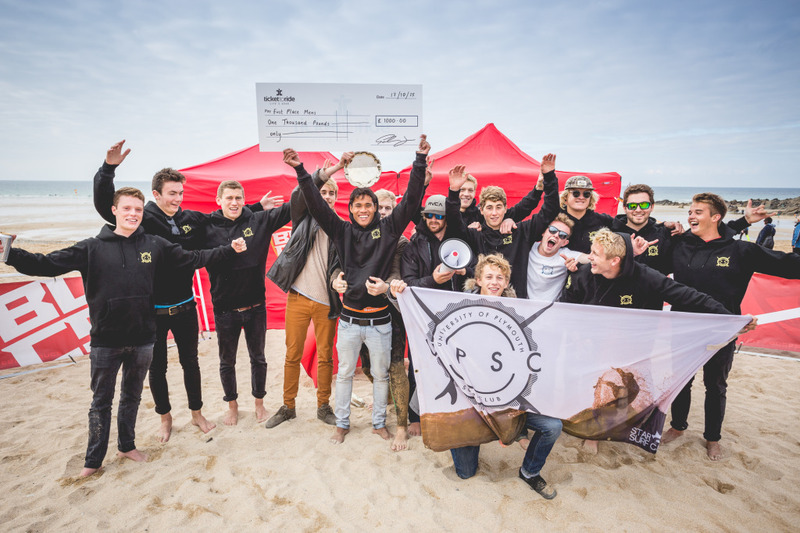 A special mention is given to Falmouth and Exeter Student’s Union as they took the #BUCSsurf glory, winning the men’s individual, the women’s individual and the overall female titles – as well as placing second in the overall male category. 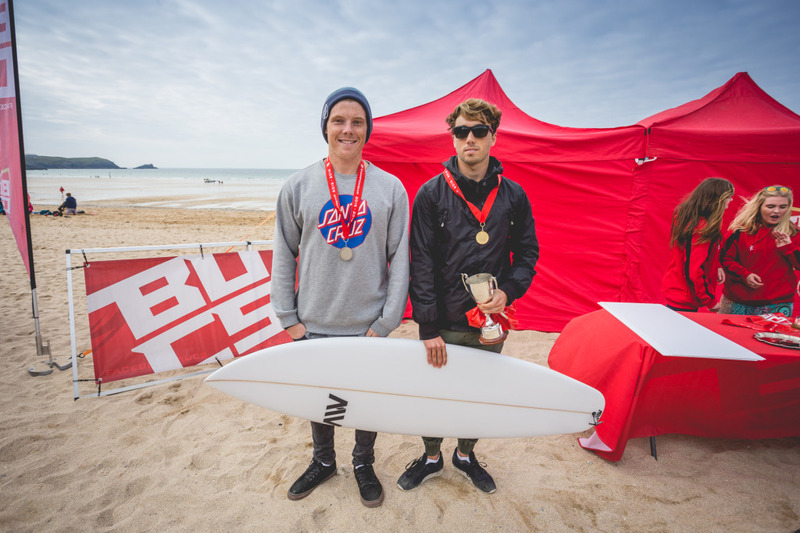 Wave of the Champs goes to last year’s champion and this year’s runner-up Rhys Poulton who achieved a massive 7.5 on his second wave – the highest in the competition! Read more on the BUCS website.